The Mooch: Rachel Maddow Needs A Suppository To Get Over Her Trump Derangement Syndrome [VIDEO] - Joe.My.God. “One of the reasons why we never met with the North Koreans is out of the respect for the Chinese. When we cut that deal in 1953 — the armistice. China has grown. It’s now the second largest economy in the world. The president has a great relationship with President Xi. They obviously don’t like talking about that. And the combination of those forces have now allowed for this opportunity to take place for the world. “It’s a more complicated story than what she’s saying. But you can tell she’s [Maddow] got a little bit of that Trump derangement syndrome, which I like. I’m hoping that one of these comedians will come up with an anti-anxiety medication for these liberals. Just take one tablet a day. 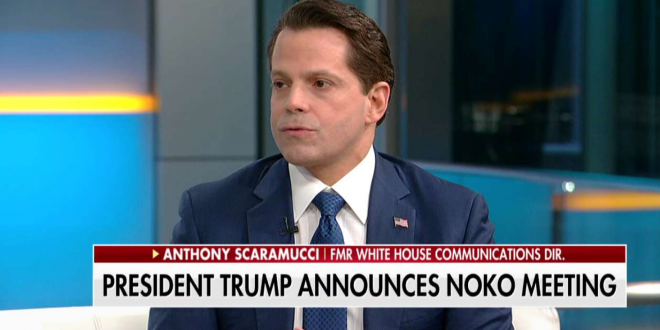 Maybe a suppository and take it easy.” – Former White House communications director Anthony Scaramucci, speaking this morning on Fox & Friends.